A recent Yale University survey found one in five MBA students will not take a job at a company with poor environmental practices. Students at UNC-Chapel Hill’s Kenan-Flagler Business School learn how to be environmentally and socially responsible. Burt’s Bees wants to plant 1 billion wildflowers in an effort to “bring back the bees.” The natural personal care company kicked off its new Bring Back the Bees campaign this spring with a social media movement. They’re asking consumers to lose the letter “B” from their social posts and use the hashtag #BringBackTheBees. The posts will not only raise awareness for the cause, but Burt’s Bees will plant 1,000 wildflowers for each person who follows through. Efforts like this make Burt’s Bees a sustainable enterprise — a business that makes profits in a way that also reduces harm to society and the environment — and is why business professor Olga Hawn brings them into her classroom. A professor in the UNC Kenan-Flagler Business School, Hawn researches and teaches her students about corporate social responsibility (CSR), a form of self-regulation that corporations can integrate into their business model. CSR isn’t always incorporated in the “right way,” though, according to Hawn. “I hate when companies just donate money to a random philanthropic organization,” she says. One example is Subaru’s “Share the Love” program, which, in 2015, gave customers who leased or purchased a vehicle the opportunity to donate $250 to a given charity such as Make A Wish, the ASPCA, Meals on Wheels, and the National Park Foundation. While initiatives like this can do good for society, they add no strategic value to the corporation, Hawn explains. “You don’t even know how those charities use that money,” she says. “So it’s impossible to understand how these initiatives reach targets.” She believes that with every action a business takes there are behaviors and conditions to study. Directly across from the checkout line in giant white lettering on the red walls, Target reminds their customers of the amount of money they have donated to local schools. This signage, and the corporation’s $850-million of donations to education since 2010, explains why so many PTA members chose the store over competitors like Walmart and Kmart. Companies like Target say they are doing good for their communities, but that does not mean they actually are. In her most recent paper “Mind the Gap,” Hawn studied the disparity between companies’ implementation and publication of socially responsible activities. “We assumed that more companies were saying more than they were doing,” Hawn says. “But they are actually doing way more than they say they do.” Even though Hawn is eternally optimistic about just about everything, this finding surprised her. Hawn’s research also found that the wider the gap between the walk and the talk, the less market value companies would see. So why don’t companies publicize their actions? “I personally think it is because of the rate of communication in this day and age,” Hawn says. “People are afraid of these things becoming a scandal.” The more people know about it, the more opportunity the company presents for an attack Hawn says. To illustrate this point, Hawn jokes about the amount of flack Walmart receives from the press. Even though the company established sustainability efforts, publicizing these efforts could invite the media to question why they are not addressing other issues like low pay or the use of foreign labor. While her recent research is on how often companies own up to their actions, Hawn’s past studies focused on the actions of companies themselves. In “Different Shades of Green,” she reviewed the differences among companies’ sustainability efforts. “We wanted to understand the different levels of adoption of sustainability strategy,” Hawn says. “Some companies go all in and others do it more symbolically.” Symbolic adoption can fall into the category of greenwashing — or falsely presenting a product as ecofriendly for public image. In her classes, Hawn introduces the idea of different shades of green to her MBA students. “I want to prove to them that there are big companies that are going all the way in terms of sustainable practices,” Hawn says. Hawn invited Matt Kopac, Burt’s Bees manager of sustainable business and innovation, to speak to her class. The company is proud to be an example for the class, not only because of their own work, but also because of Olga’s experience. “Having researchers like Olga who dive in, and provide both the academic background and connection to the real world, is really powerful to students,” Kopac says. He enjoys speaking to the class about sustainability because he believes it is where the industry is headed. In 2007, the company fully committed to responsible business practices by launching “The Greater Good.” The program kicked the already sustainability-minded business into high gear. The company set a goal to be zero-waste by 2020 — including its internal operation. Some employees even change what they eat for lunch because they want to be zero waste Kopac says. “They like to joke with each other if they catch a glimpse of a plastic wrapper or bottle.” As a result of this commitment, Burt’s Bees has not sent any waste to landfill since 2010. By introducing the principles of social responsibility in the lecture hall, Hawn hopes her students will search for these business practices in future employers. “Environmental practices are now becoming a part of consideration of jobs,” Hawn says. 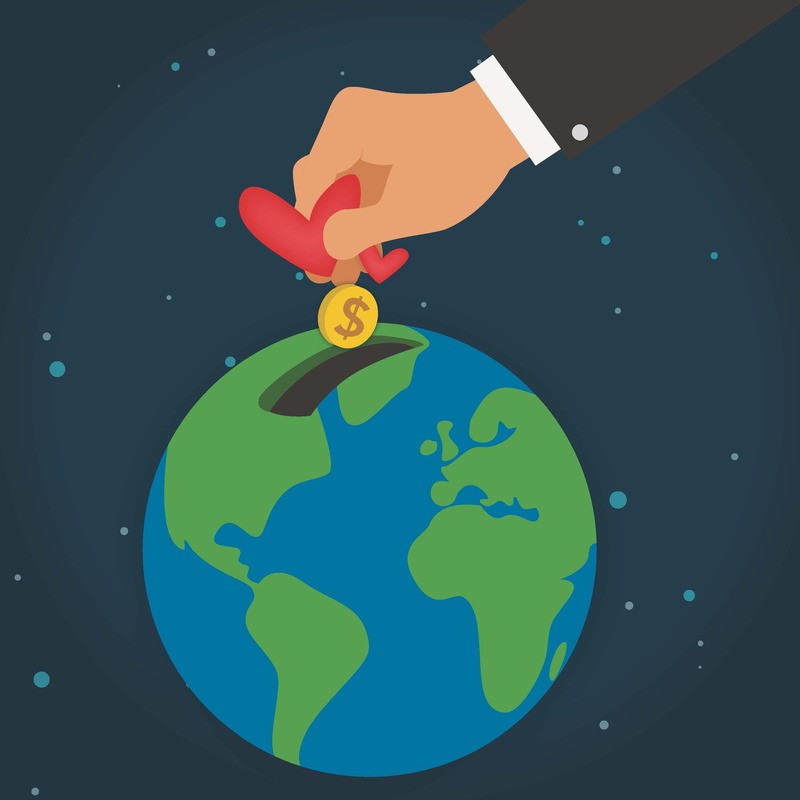 A Yale University global survey of 3,700 students at 29 top business schools found that 44 percent of students would accept a lower salary to work for a company with better environmental practices. One in five students said they would not take a job at a company with poor environmental practices. Olga Hawn is an assistant professor of Strategy and Entrepreneurship at the UNC Kenan-Flagler Business School. She is also a Sustainability Distinguished Fellow at the school.